CMP Controls, the Australian manufacturer of lighting and power control components, is pleased to announce its increased manufacturing capabilities through the acquisition of Tridonic in New Zealand, which was concluded earlier this week. Under the terms of the concluded sales agreement, CMP Controls Pty Ltd acquired the shares of Tridonic New Zealand Ltd in Auckland, including the production site, which manufactures a diverse range of specialised high wattage power control systems and components. 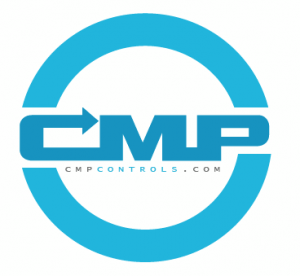 CMP Controls, a subsidiary of the CMP Group of companies, will continue its long-term supply partnership with Tridonic and has assured customers that the production and sale of Magnetic Lighting Control Equipment, including high wattage reactors, constant wattage control gear, lighting components and industrial ferromagnetics will continue under the CMP brand, with only the company name changing from Tridonic New Zealand to CMP New Zealand. Tridonic CEO Alfred Felder is pleased with the outcome of the New Zealand acquisition. “It is a great relief to us that CMP will continue the production in the interest of the customers,” says Tridonic CEO Alfred Felder. As part of its overall strategy to increase manufacturing capabilities in key markets of growth, the CMP Group in recent years has successfully executed a number of strategic acquisitions, which has seen the CMP Group acquire manufacturing plants in Australia, Europe and now New Zealand.